Meetings are not “out of sight, out of mind” affairs – or they shouldn’t be, because after the meeting is when the action really starts. To get the most out of meetings, it’s important to have clear meeting minutes. The most obvious argument for taking meeting minutes is that people are forgetful. You might remember every detail right after the meeting, but with time your memory will get fuzzy and details can get distorted. Having meeting minutes ensures that you do not forget or miss important decisions and actions. Meeting minutes serve as a source of information for the project team which they can refer back to when they are unsure of their responsibilities in the project. Meeting minutes also make sure that everyone is on the same page, and that the most important information is available to team members who could not attend the meeting. Meeting minutes are also important reference points for related projects and activities. Add as much information to the template as you can: e.g. objective, agenda points, attendees etc. Obtain copies of all documents used in the meeting, including PowerPoint presentations, reports, brochures etc. 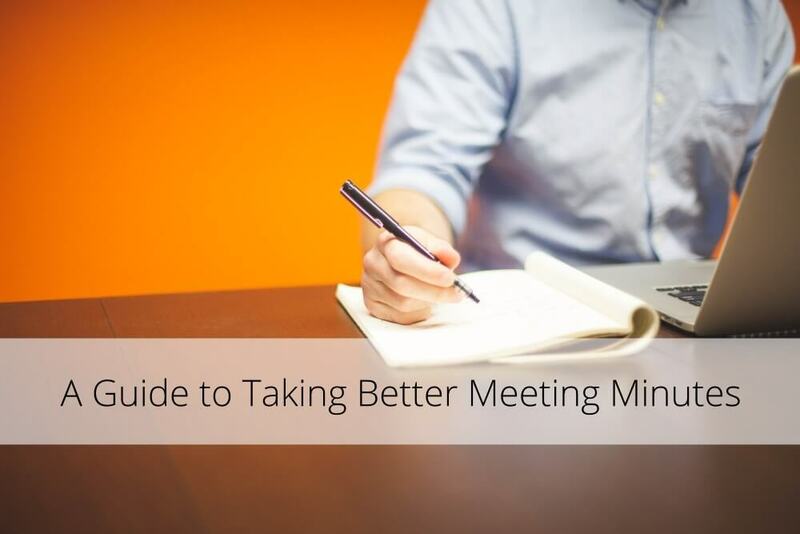 Download a free meeting minutes template. A Guide to Taking Better Meeting Minutes [Infographic & Template] - InLoox • Copyright 1999-2019 © InLoox, Inc. All rights reserved.